For by grace are ye saved. 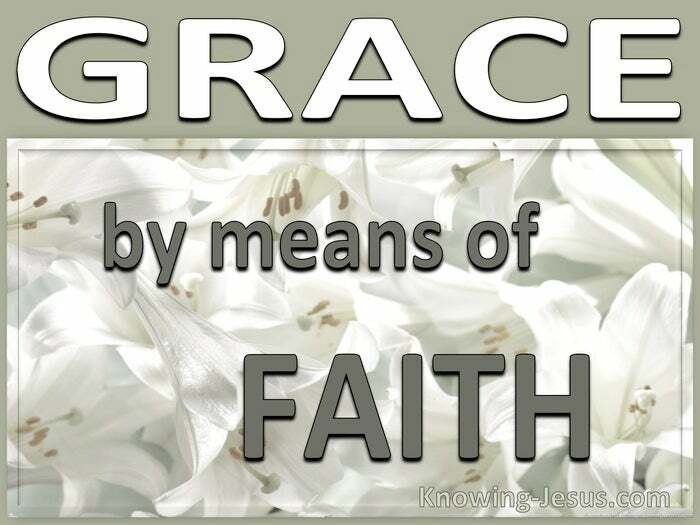 For by grace are ye saved through faith; – i.e.by means of exercising trust. For by grace are ye saved, and that not of yourselves. For by grace are ye saved, it is the gift of God. I guess we are saved by grace. We only have to believe it to be true – by faith. But faith in what, or by faith in Who? Well God so loved the world, that He gave his only begotten Son, that whosoever believes in Him should not perish, but have everlasting life. Believe on the Lord Jesus Christ and thou shall be saved. For by grace are ye saved through faith in Him (trusting in Christ Jesus – with no add-ons) and that not of yourselves: it is the gift of God. Scripture was written nearly 2000 years ago. Interpretations of Scripture have flooded the world. Exegesis and explanation that range from the excellent to the abysmal. The result is a plethora of denominations with their own pet doctrine and explanations. The consequence is a generations of Christians that have a distorted view of God. Almost without exception you will discover some little “add-on” to grace. If there is the slightest addition to grace, it fails to be by grace alone. Some additions to grace are easily discernible: “you must believe and……x.y.z”. Some adjuncts are clearly related to grace + works, which is not grace but law. Some distortions result from a bias, received from educational or denominational ‘indoctrination’. Some inaccuracies are founded on experiences, or treatment received from others. One problem with a wrong understanding of grace is a distortion of Scripture. Another equally problematic result is a wrong perception of the character of God. The word of God is from God, and His word is truth and life. God’s method of grace as written in Scripture is perfect, but grace is frequently distorted by man’s interpretation. God’s character as outlined in Scripture is perfect, but God’s character is frequently distorted by man’s interpretation. Our understanding of grace will influence the way that we live our lives and our perceptions of God’s character will determine our conduct. If our understanding of grace is incorrect, so will be how we perceive God. If our perception of God’s character is wrong, so also how we understand grace. How vital that we take time to come to the correct understanding of grace. How crucial to take time to get a correct understanding of God’s character. Sometimes we need to be honest with ourselves and identify any biases we have. Sometimes we need to recognise that inevitably we have built on wrong foundations. We need to identify any false perceptions we may have built up in our thinking, if we’re to get back to true biblical teaching on grace and God’s character. And this isn’t the problem of the few. This is my problem and your problem too. It requires humility of heart toward God to realize we’ve misrepresented Him for so long. It requires a deep desire in our inner being, to know the God of our salvation. A wise engineer goes back to the drawing board, when confronted with a problem. A wise gardener goes to the root of a weed rather than sniping off the stem. A wise decorator strips the wood to the bare boards before applying the paint. Shouldn’t a Christian check for any false perceptions of God or developed biases? Our concept of God and idea of grace will always influence how we live. A man who thinks God will accept your best efforts, lives that way. He will live his life just trying to do his best. But this is a wrong concept of God, for He will not accept your best. A believer living in worldly carnality hasn’t understood God’s grace. He hasn’t understood God’s character. For by grace are ye saved it’s the gift of God:. A believer who lives a life in fear has built up their particular concept. Maybe they’re concerned that God doesn’t love them. Another is concerned that God has rejected him. Maybe he fears that God has a big stick to beat him. 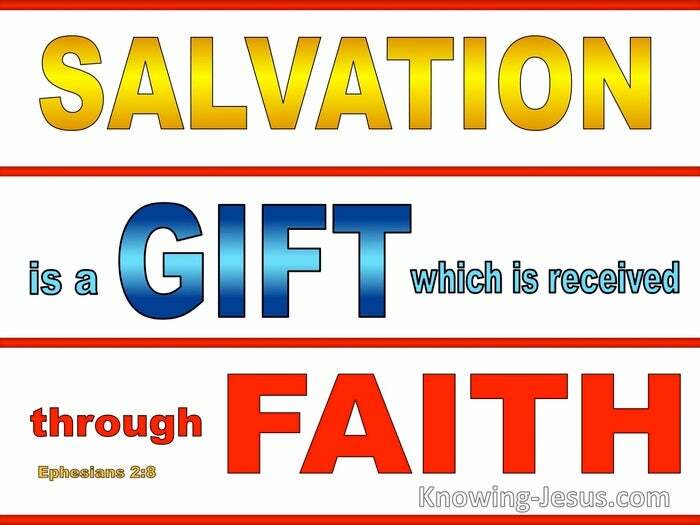 But by grace are ye saved, it is the gift of God. Our concept of God and idea of grace will always influence how we live. How important to have a correct concept of God, and His marvellous grace. The correct concept of God is clearly defined in scripture. The correct concept of grace is clearly outlined in God’s holy word. Exegesis and explanation can range from the excellent to the abysmal, but all have their imperfections and the result is a plethora of denominations with their own pet doctrine and exposition. Almost without exception you will discover some little ‘add-on” to grace, deceiving many into a life of fear; works; legalism. i.e. grace PLUS. The consequence is generations of Christians that have a distorted view of God, but God’s grace and His character is clearly laid out in Scripture and we need to believe what Scripture says. We need to search the Scriptures to really find what is said about grace.